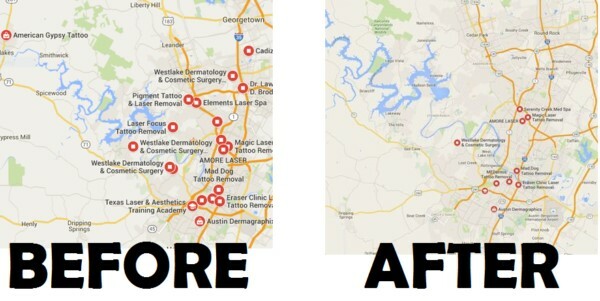 If your business relies solely on local business listing results in Google Maps then this post will be very useful to you. Google recently filed a patent that will change local maps results listings to filter out all the duplicate or “spammy” results. The patent was recently granted on June 21, 2016. This basically means if your business has duplicate local listings or false addresses inside of Google maps this update will have wiped you off the map. We have reason to believe that this update to the Google Maps local business listing results are only filtered out weekly or monthly and not in real-time throughout the day, just like most of Google’s anti-spam algorithms we don’t exactly know when or how they are calculated but based on some tests we can only conclude certain things. Then on September 1, the results completely changed again, and many of the previously filtered listings are now included. The age of a listing is said to be one of the most important factors to influence this filter, the longer you have been around typically Google will trust you more than somebody who just decided to come on board. We also have found that typically if your website is ranking in the Organic SERPs for the same keyword the chances of your site ranking in the Local 3 pack will be very high as long as your maps listing is optimized the same way. 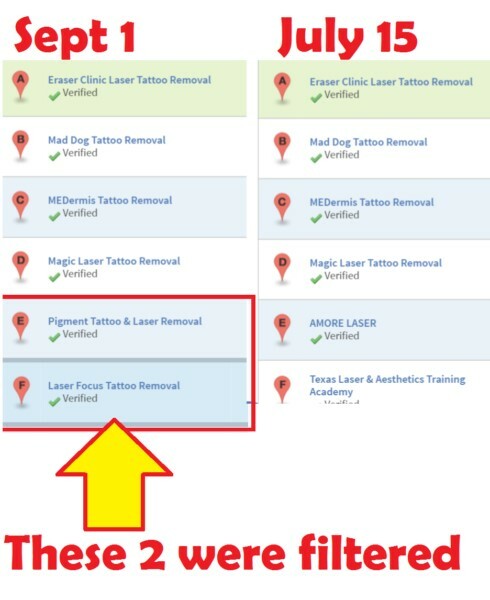 If you have duplicate listings then chances are this filter will find all of them and you will be filtered out. When you have duplicate listings Google does not know who you are, so they will just filter you out. To avoid having your local business listing eliminated in the rankings make sure you are following good protocols when adding to your listing. Use an online marketing professional to set it up for you to ensure that you stay at the top of the 3-pack and don’t break any rules inadvertently. Making the most of your local business SEO strategy will definitely help you avoid any issues with Google and keep your website and listings converting for your business.